More than a month after the April 24 Burkapal incident, in which Maoists killed 25 CRPF soldiers, I was talking to a senior police officer in North Bastar about the things that had changed on ground. Bastar: More than a month after the April 24 Burkapal incident, in which Maoists killed 25 CRPF soldiers, I was talking to a senior police officer in North Bastar about the things that had changed on ground. The police officer immediately started defining an acronym that he himself was unable to understand. Recently, Home Minister Rajnath Singh, in a security review meeting held with National Security Advisor Ajit Doval, Home Secretary Rajiv Mehrishi, Chief Ministers of Naxal affected states, security advisors and senior policemen on ground, came up with a formula to fight Naxals. He called it SAMADHAN. Wait a minute. What are Dashboard based KPIs? But not only was the state unable to act against illegal tendu patta businesses, it watched helplessly as this year’s tendu patta stock was bundled, carted and sold, leaving the local cadre richer by at least Rs 80 crore — enough to meet their current year’s budgets. Other officers I spoke to, in the state police force and paramilitary, confirmed the suspicion. Almost nothing had changed on ground. 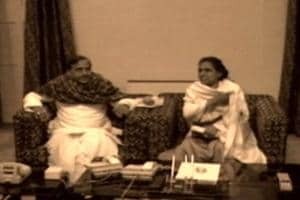 The only thing that the leaders of troops stationed in violent, Naxal affected territories, had gained after series of high level meetings at North Block in Delhi, was a dense acronym. But hidden perhaps in this dense cipher was an achievable target. The ‘N’ that stood for no access to funding seemed like a goal that the state could actually work towards. If the sources of funding for Naxals were identified and choked, the organisation would weaken over time and become an easier target. 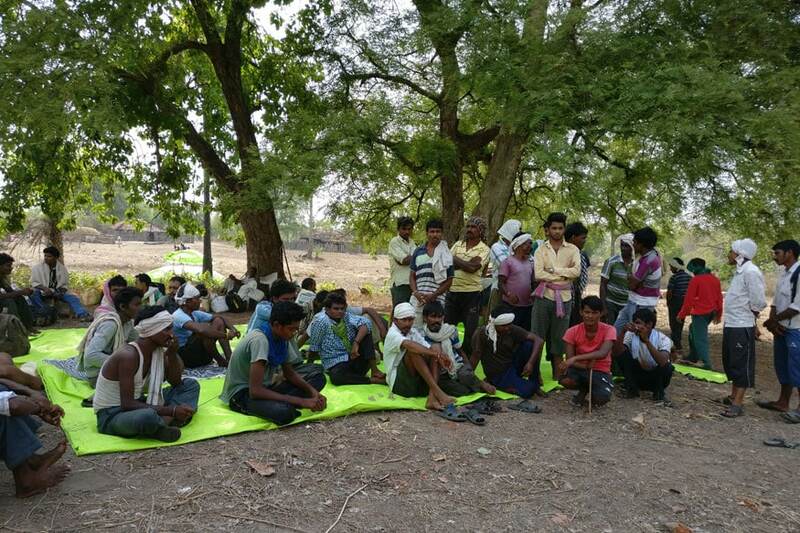 What News 18 found through its visits to Bastar and its conversations with officers in the state police force, intelligence unit and CRPF, was that the source of funding for Naxals in Chhattisgarh had long ago been identified — tendu patta farming. “The nexus between the tendu patta blackmarketeers and Maoist leadership has not been established yet. But we are getting increasingly more certain about it. We recently made an arrest in Gadchiroli and the person has been suggesting something like this,” said a senior police official in Bastar. 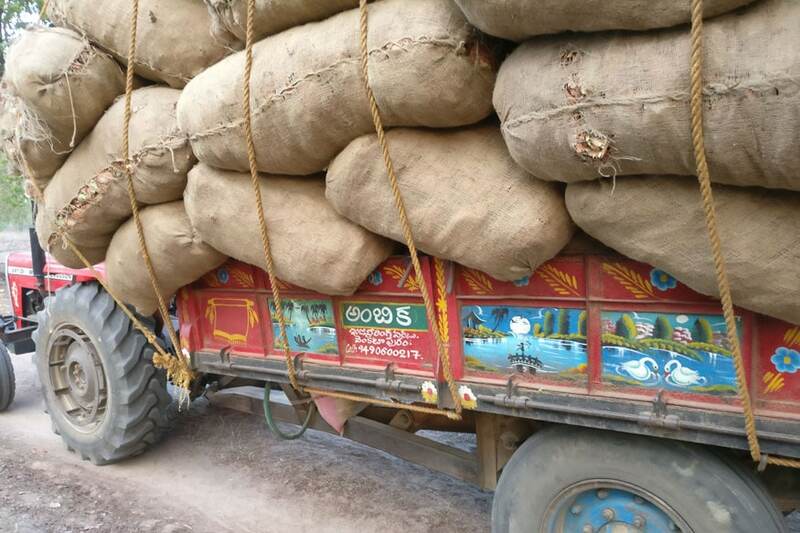 In fact the last stocks of tendu patta, which is used to make bidis, were carted away just a few days ago. Tendu patta season begins from usually the third week of April and ends in the last week of May. News18 visited several tendu patta depots located deep inside Naxal strongholds where no contractor, without the express permission of the ultras can do business. 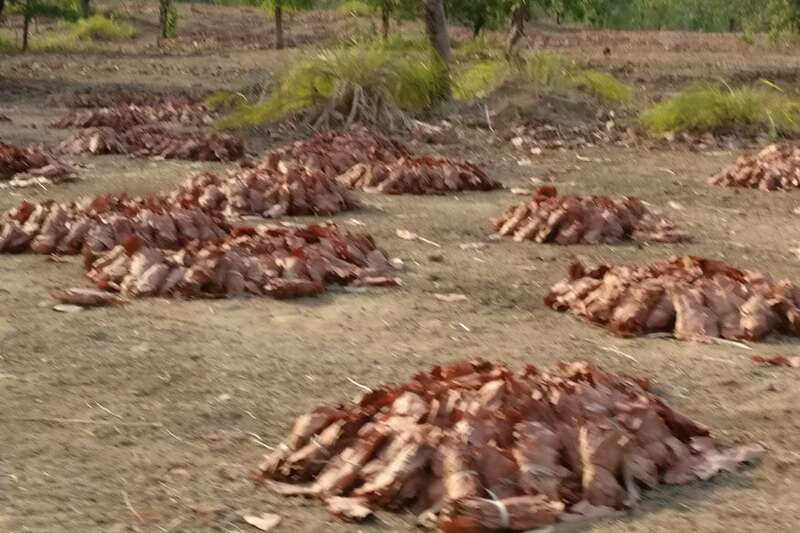 Around 140 km from Bijapur as one moves towards the jungles of Basaguda, tendu patta leaves were seen drying out in village after village. Chinabattum, Batiguda, Kondapalli, Oigudam, were some of the villages where tendu patta leaves were being dried and packed into sacks. 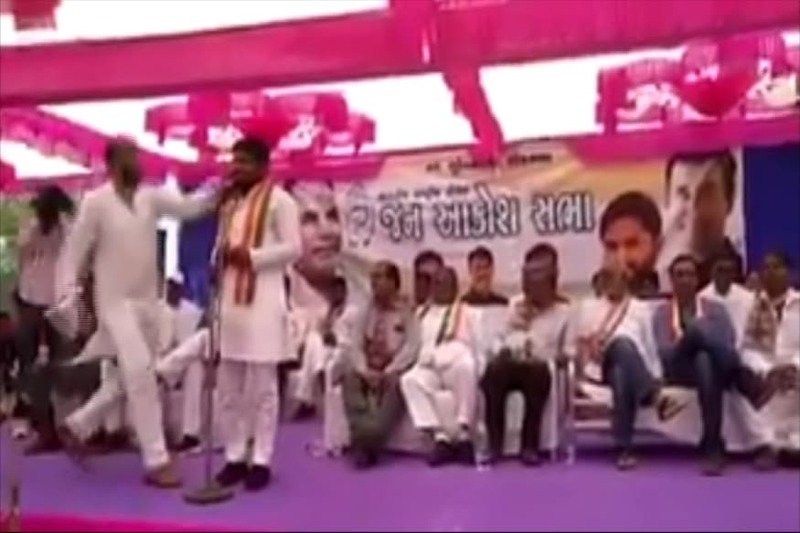 The manager who was from Telangana said he was looking after tendu patta production in one ‘unit’. Each unit has about 20 to 25 villages, and there are about 20 units in this area, he said. Each unit under him, who got paid around Rs 25,000, said the manager yields at least Rs 1 crore worth of tendu patta. In one of the villages workers were lined up at a spot, waiting for their wages. One of them, Yogesh, said that he, along with the rest of them, has been coming here for last three years. All of them come from nearby Gadchiroli district in Maharashtra. They work here for one-and-a-half months and are paid up to Rs 7,000. There is a very rigid distribution of labour in this business. 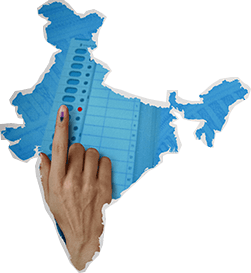 The ground workers are usually from Maharashtra or Odisha and the managers and business owners usually from Telangana. Interestingly, most of the senior members in CPI (Maoist) central committee, including the seniormost member Ganapathy, are also from Telangana. Could there be a link? 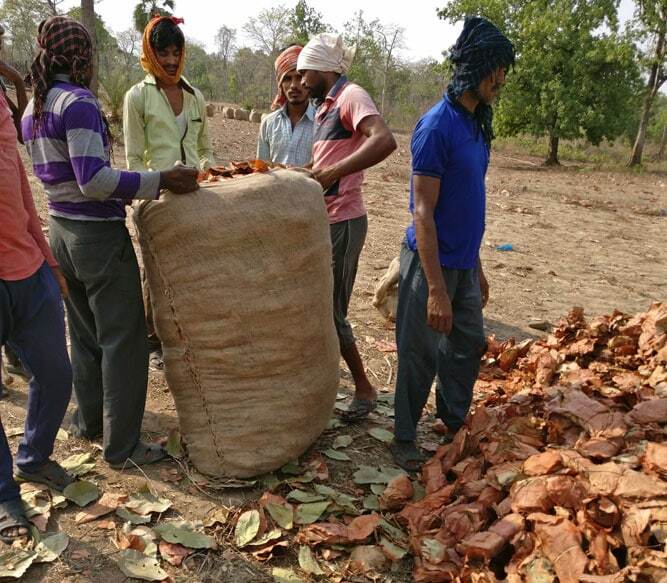 Around 20 lakh sacks of tendu patta, each containing around 50,000 leaves, are collected from Bastar each year. This provides between Rs 15,000 and Rs 20,000 to each tribal family. Maoists get contributions from lakhs of such tribal families and extort around Rs 200 per bag from each contractor. In all they make Rs 80 to Rs 100 crore a year from Bastar region alone. The state police force in fact killed a very senior Maoist leader, Vilas nicknamed Aaytu, who had a Rs 16 lakh bounty on his head, in May. Vilas was the secretary in CPI (Maoist)’s Barsur area committee, who had come to a tendu patta trader to extort money out of him. 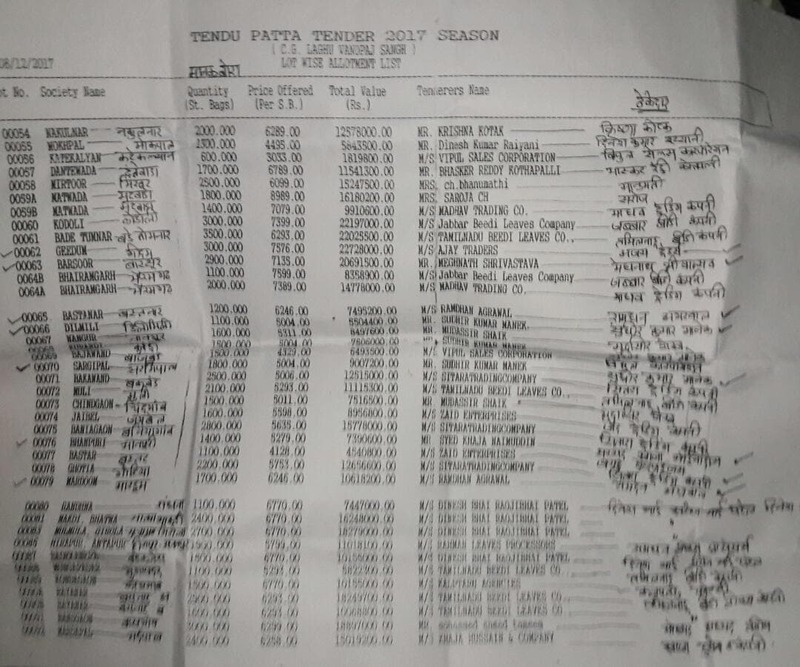 Detailed financial documents of revenues made by tendu patta tradesmen and the commission due to Naxals were recovered from Vilas, which provided police for the first time the scope of Naxal involvement in this business. He alone had come to recover Rs 23.4 lakh. When asked, a Naxal leader from South Bastar division confirmed that the outfit does get financial support from tendu patta business but refused to share details. “Thoda bohot kuch milta hai,” he said. And if the Maoists are to be believed, demonetisation hasn’t made them weaker either. “Initially there were some hiccups because our people went to banks with a lot of money. Then we understood the caps on exchange that had been placed. We had lakhs of tribals supporting us. So, over time, we managed to exchange almost entire cash,” a Naxal leader told News18. To be honest, we can’t do much about it because tendu patta business is a source of livelihood for many tribal families. If we start putting curbs on it, these tribals will revolt against us and their sympathy for Maoists will increase manifold. This is why we are letting them make money through this. 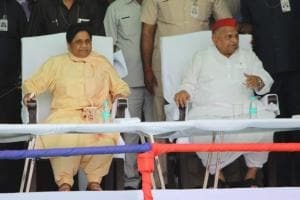 Given that the ultras also earn from levy they charge on factories set up in their area and private transport operators, and the fact that they have already carried out two big attacks against CRPF this year — in Bhejji and in Burkapal, the Bastar divisions of Maoists may already have bagged enough money to last the year. What’s alarming isn’t that Maoists have already met their financial targets for this year. It is that they are going to continue minting money from tendu patta business for years to come. A senior state police officer posted in South Bastar told News18 the reasons why the state cannot put curbs on this trade. “To be honest, we can’t do much about it because tendu patta business is a source of livelihood for many tribal families. If we start putting curbs on it, these tribals will revolt against us and their sympathy for Maoists will increase manifold. This is why we are letting them make money through this. We are slowly trying to bring accountability into the system by making it online. But any progress in this case won’t be made in haste,” said another senior police official. While police looks for other mechanisms, the fact is that Maoists have got a distinct advantage over the state this year. They managed to kill 12 CRPF soldiers in Bhejji in March and 25 in April. They have made enough money to last them this year. And with monsoons the terrain has become hostile, pausing all search and kill operations, for at least four months. Let’s go over the catchy acronym that the Home Minister had come up with — SAMADHAN again and see what we are left with. We could grant the forces ‘S’ for smart leadership and ‘A’ for aggressive strategy. A lot of time has passed since Burkapal, allowing security forces to work on both these things. But given that Naxals have achieved two big successes and the state forces none, it’s no secret that ‘M’otivation levels among troops in Bastar aren’t sky high at the moment. And because of the four months of rains now, there won’t be much to be done with ‘A’ctionable intelligence. Since no one has a clue what it means, so we will grant the force ‘D’ashboard-based KPIs. Four months of rains have hit Bastar, so there will be little use for ‘A’ction plan. ‘N’o access to financing? Really? What we are left with at the end are three letters – ‘S’ ‘A’ ‘D’.